One of the most vivid memories I have from my past recalls from a late afternoon in the middle of the summer of 1967. It was a cloudy, hot, muggy day, and I was lying in a field of elephant grass, a few hundred feet from some of the most beautiful and lush trees I’d ever seen. Bamboo and figs and giant hopea trees, or at least that’s what I thought at the time. As I lay in the grass every sensory organ in my body was on highest alert. It was the most fearful I had been in my rather short life, and I was well aware that at any second my life could come to an abrupt end. I was a Marine in the 3rd Reconnaissance Battalion stationed out of Da Nang, Vietnam. My Military Occupational Specialty was field radio operator (MOS 0621), which meant that I was officially a communications person to whatever group I was attached. That day I was with a group of six South Vietnamese Army (ARVN) soldiers. We were scouting out an area about ten miles west of Hue City for a Viet Cong sniper who had been firing random bullets into a nearby ARVN outpost. Earlier that day while I was within the confines of the ARVN outpost the sniper had fired a barrage of rounds from across the Perfume River that flowed past the outpost. The bullets hit a building near where a number of us were standing. Although no one had been hit the sniper had all of us on edge, and it irritated the ARVN outpost commander enough that he took action. He pointed one of his two 106 mm recoilless canons at the area where it seemed the bullets were coming from, and fired a “Willie Pete” round point blank across the river! “Willie Pete” is military lingo for white phosphorous, an incendiary that ferociously burns everything it touches! It was a spectacular explosion and knocked down many trees, and ignited much of the immediate jungle underbrush. Our scouting party crossed the river a couple hours after the “Willie Pete” explosion and we were evaluating the destruction and looking to see if there was any sign of the sniper. Not finding a body in the blast area we decided to move further into the jungle, away from the river, and recon the area. We were a mile from the river when we first took fire. AK-47 rifle fire from a dense part of the jungle a hundred yards away. We all fired off a few rounds as we fell to the ground in the elephant grass! We were engaged in a firefight with what we estimated to be at least twenty Viet Cong or North Vietnamese Army (NVA). We were at an extreme disadvantage, not only because we were clearly outnumbered, but because we couldn’t really see where the gunfire was originating. In the trees I’d thought when we first had encountered them, but we shortly became aware that we were receiving gunfire from other locations as well. We were pinned down and we had nothing to hide behind other than clumps of grass. The top halves of the elephant grass were being clipped off by the myriad of bullets and fell on us as though we were being overridden by a giant lawnmower. Between the enemy firing rounds at us and us firing rounds back at them, the noise was loud enough so that it was hard to determine if anyone could hear what any of us were trying to say to one another. I was talking to the ARVN soldier in charge of our team, and trying to communicate our distress over the radio to anyone who could possibly help. I made two calls, one back to the ARVN outpost, and another to a recon radio relay station between Hue and Da Nang telling them that we had engaged the enemy. I also gave our position, not in actual coordinates, but in “shackles,” a form of code we used that interpreted numbers from a sequence of letters. With all the noise and disruption it was impossible to know if anyone had heard a word I had said over the radio. I think someone might have answered, but I couldn’t be sure. It had all happened so fast and become so furious that it was just impossible to even know if all seven of us were alive. When on patrol a group of military individuals walk in a long line, each separated by a few meters. When fired upon everyone dives for cover, and in this case we were scattered along a distance of at least 30 meters. Everyone attempts to move into the same vicinity so that area can be defended, but in high grass its impossible to tell where everyone is or how they are faring. I knew right away that it was possible that several of our guys might have been killed or wounded, but we were in no position to check on one another. It was a grim situation! Some people say that at moments like this when a person sees no options for survival that their lives pass before them. My life to that point had been pretty miserable, and I’m happy I didn’t have to relive it. Growing up with undiagnosed dyslexia, my father, who had graduated high school as his class’s valedictorian, assumed that I was either extremely lazy or just plain stupid. And he maintained that belief, and shared his thoughts on the subject with all his friends, and all of my friends right up to that point when I was lying in the elephant grass. Fortunately, my mind wandered off in a totally different direction, mostly considering the options that would save my corporate self. We humans, like all multicellular organisms, are constructed of cells. Corporate beings made up of about 37 trillion cells, many more cells than galaxies in our universe. For a size perspective imagine an atom expanded to the size of the tip on your ballpoint pen. A single human cell would be the size of a ship, and our body would be the size of North America! Cells are tiny, and it takes 37 trillion of them to make one of us. What’s really cool is that most of these cells, neurons excepted, are autonomous when they initially divide, meaning that as individuals they could survive on their own, acquiring food, metabolizing it, and acting like any other single celled organism. When they connect themselves together they rely on each other to provide various functions that maintain the corporation. Interestingly, amongst our 37 trillion cells, none are in charge, no one cell or group of cells rule over any other cells, the entire corporation is leaderless. It begs the question, how it is that a leaderless corporation of 37 trillion cellular entities can manifest an environment that convinces each and every one of us that we are unique individuals, possessing consciousness, self awareness, and especially emotions such as joy, love, hate, and above all, fear? From an evolutionary point of view we see a continuous diversification of living organisms all set upon the acquisition of food. Food consumption, it can be argued, is the reason for life, the meaning of life so to speak. Some people might argue that procreation is the reason for life, but we know that an organism cannot propagate without first consuming sustenance. From my perspective no organism exemplifies this more explicitly than the slime mold. Cellular slime mold begin their lives as single, amoeba-like cells. Thousands upon thousands of these amoebae raid the understories of forests in search of food. After a time, when all of the food has been consumed in the area occupied by these amoebae each secretes a hormone-like chemical called acarsin that attracts other amoebae, and the amoebae begin to clump together. In time they form a cellular mass of more than 100 thousand individuals, attaching themselves to one another, and literally become a multicellular organism or slug with the ability to move as a single entity. And, identical to the situation with us, there is no alpha cell or group of cells in charge. The slug moves toward an oxygen gradient emitted by various foot items. In fact, the slug can sense oxygen gradients and light, and goes for the food, but avoids bright light. When the slug arrives at an area of abundant food it shape shifts. A portion of the slug becomes a foot-plate whereas another portion becomes a stalk, and a third portion becomes a fruiting body that eventually releases a myriad of spores that each germinate to become amoebae. The foot-plate, stalk, and fruiting body die, but, the germinated amoebae disperse and once again feed on their own. So, what does all of this have to do with the subject of fear? Fear is a manifestation derived from chemical and physical attributes of certain cells in an organism’s body. Just as some cells differentiated to form a stalk in the slime molds shifting shape, some cells in our brain manifest fear for the survival of the corporate being. In the case of humans and other complex animals many of these cells are located in the amygdalae and the basal ganglia of the brain. The amygdalae evaluate information from the sensory organs and direct responses. The slime mold lacks a brain and therefore lacks the amygdalae, yet still manages to avoid bright light. Certainly evolutionary selection would favor an organism that could detect dangers possibly fatal to its corporation. Perception of the immediate environment and ecosystem by a variety of senses obviously aids both in acquiring sustenance and protection of the corporation. Lying in the elephant grass, my sensory cells were obviously not engaged in locating food, but were collocating immense amounts of information for my amygdalae that would decide whether I would engage in fight or flight. At the gravest last moments of the firefight, when the enemy had moved within 30 yards, when we all expected to die, I received a call on the radio to huddle up. The caller identified himself as “Spooky!” It was an A-130 Gunship, or so I surmised later, carrying mini-guns. If there has truly ever been such a thing as Hell on earth, the gunship Spooky provided it! Carrying three mini-guns, each capable of firing 4,000 rounds a minute, the area around us was decimated in a matter of seconds! The deafening roar of projectiles cutting through the air like laser beams, impacting every square inch of land, together with the nauseating smell of vaporizing flesh and fiber and soil instantly mashed together into the most horrific assault ever to rampage my corporate being! 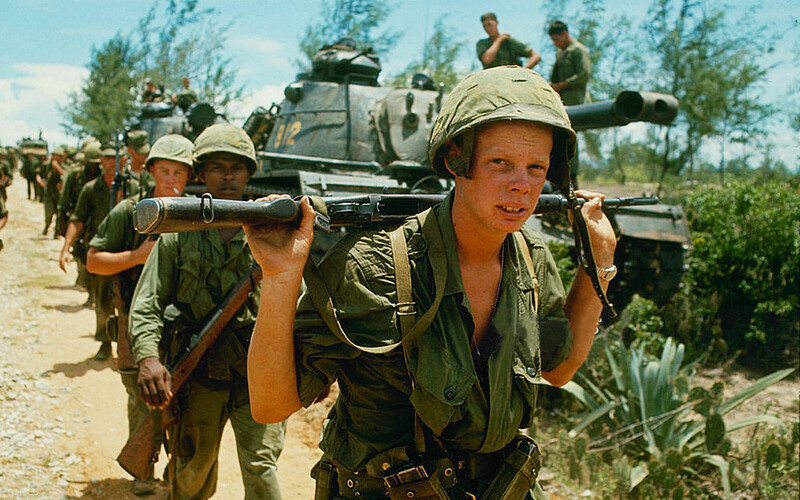 To this day I remember so little about the actual firefight between the ARVN squad and the enemy, but I still hear and smell the terrifying outcome of Spooky! When you live in a war zone like Vietnam a person is always on alert, with a touch of fear that makes each and every step a little bit more intended than would be if you were safe in your home. When you get shot at that alertness transforms instantly into self-preservation, or to the “fight or flight response,” to an alternating state of either going on the offensive, ducking and taking cover, or running away from the danger. It’s the survival mode. I have no idea how others respond to the knowledge that all hope is lost, but I know that when I felt that way, I was ready to charge full bore into the enemy in hopes of killing as many as possible before I was to die. Whether in fact I would have done that I don’t actually know. I know I wanted to do that, but Spooky changed everything for me, and I assume for the others as well. The fear I had just felt for myself was instantly reversed to the enemy and I could imagine the horror in their eyes as the entire world they could see literally exploded before them seconds before each of their 37 trillion cells disintegrated! In the aftermath, we didn’t look for enemy survivors or recon the area, we hurried back to the outpost and counted our blessings, or in my case, radioed the recon relay station to thank them for sending “Spooky.” They replied that they hadn’t sent it, and claimed they knew nothing about it. We never found out how it had come to our rescue, but it had and all seven of us had survived. Later that evening I fed my corporate self a ham and lima bean C-ration diner, and thanked my 37 trillion cells, their 3 billion years of evolution, everyone who was ever involved with inventing and implementing Spooky, and all my lucky stars! 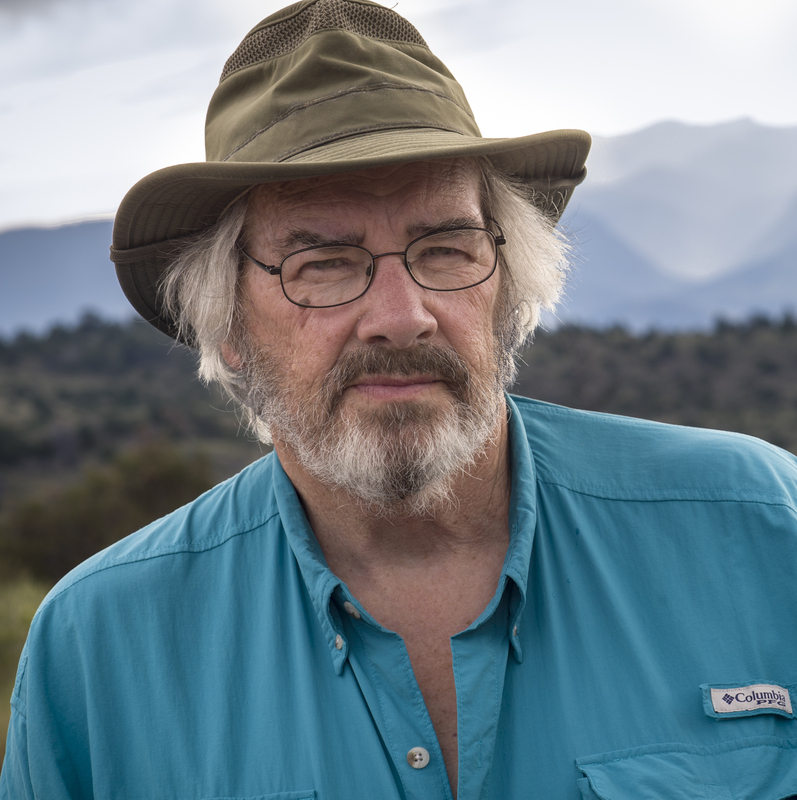 John R. “Jack” Horner is a non-degree holding Presidential Fellow at Chapman University. He began his 40-year career at Princeton University, and more recently worked at Montana State University in Bozeman, Montana. He has received a plethora of awards including two honorary doctorates, and a MacArthur Fellowship. He was the technical advisor for all five Jurassic Park films. He teaches a class called “Thinking Outside the Box” for the Honors Program at Chapman. “Vietnam War 1965 – Cape Batangan” by Paul Schutzer is licensed under CC BY 2.0. Thank goodness you survived, and thank you for your service! But even more, you were able to go on to become a great paleontologist … and a wonderful role model for others with dyslexia! You have had a great impact on my son, who also wants to be a paleontologist! For that, I am forever grateful! Very good story. There may be a non dinosaur book or two still left in you. Hidden away. Years of manuscript and grant writing paying dividends I suspect. Great job! Now we need some Shelby gravel pit, gold mining, wild game at the tavern stories. Thank you for sharing this, Jack!